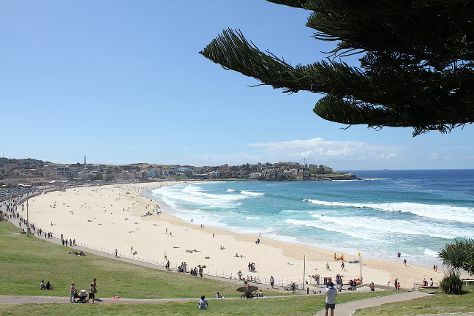 You'll get in some beach time at Manly Beach and Freshwater Beach. Head to Sydney Fish Market and Queen Victoria Building (QVB)for some retail therapy. You'll find plenty of places to visit near Sydney: Shelly Beach (in Manly), Blue Mountains National Park (The National Pass & Pulpit Rock Lookout) and Mona Vale Beach (in Mona Vale). Spend the 5th (Tue) exploring nature at Sydney Harbour National Park. Spend the 6th (Sat) wandering through the wild on a nature and wildlife tour. The adventure continues: enjoy the sand and surf at Bondi Beach, see a show at Sydney Opera House, tour the pleasant surroundings at Bondi to Coogee Beach Coastal Walk, and get the adrenaline pumping with an extreme tour. To find ratings, traveler tips, maps, and more tourist information, refer to the Sydney trip planner . If you are flying in from Germany, the closest major airport is Sydney Kingsford Smith International Airport. In February in Sydney, expect temperatures between 31°C during the day and 23°C at night. Cap off your sightseeing on the 17th (Wed) early enough to travel back home.